Show me someone who hasn’t dreamt of a NYC loft apartment, and I’ll show you a liar. Besides featuring in some of the most iconic pop culture shows over the years (‘How I Met Your Mother’, anyone? ), this trend has risen to fame over the years. 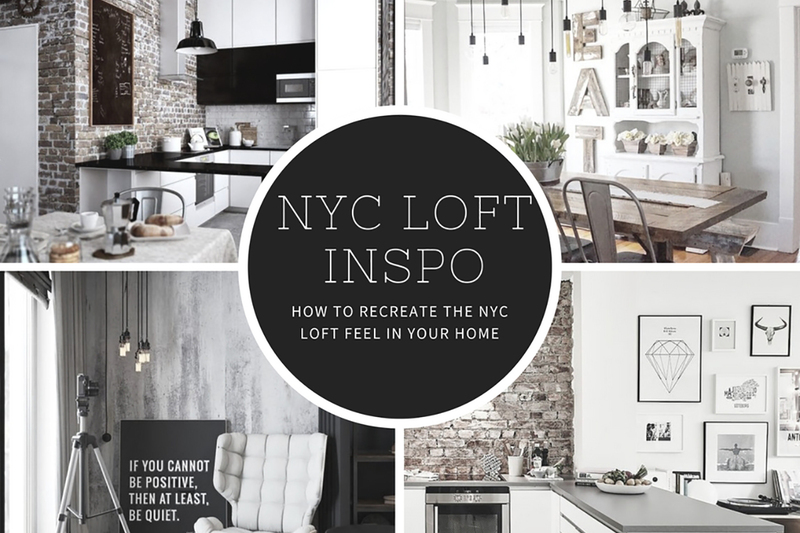 Although this dream is far reaching for anyone who doesn’t have a cool 2 million and the confidence to up and leave their life behind for this fantasy, there is nothing stopping you from bringing NYC horizons to your pad with a few simple elements. Nothing screams NYC more than a slice of exposed brick, whether you opt for an entire feature wall, or just a slither as your splash back. Adding this element to your home is a guaranteed way to achieve that warehouse loft feeling. Okay, I hear you, maybe your interior walls aren’t double brick. Perhaps unbeknownst to you (before reading this article) there are a HUGE array of raw brick look-a-like wallpapers ready and waiting for you. Wallpaper gives you the flexibility to change it one day, when you’re over that ‘Friends’ phase you went though, or to just trial it on a smaller space before you go all guns blazing in your living room. The impact your styling and accessories have on your room is often underrated. Regardless of your colour scheme (you may have mint green walls - no judgement!) adding these simple styling elements can completely transform the feel of your space. Style up your dining space with gunmetal grey industrial stools, or chairs around a dining tables. If you’re savvy enough this is can be a small investment - I recommend signing up to Gumtree immediately - that will give your home, the edge you so desire. Lighting is instrumental in creating a look and feel that warms the interior stylist within you, by opting for lighting elements with an industrial base (think cement) or matte black finishes and masculine shapes, you are adding building blocks to that NYC dream. If you’re at a loss, just go ahead and combine all of the above, spread them throughout your house so as not to alarm your partner when they get home, but test them out in different spaces. Your exposed brick feature might work best in a brighter room, and incorporate your lighting elements by your bedside table. The trick is to keep it cohesive and balanced across your humble abode.